There's no shortage of definitions for an electronic health record system; everyone has his own take on the subject. But there's one defining characteristic of an EHR that separates it from other electronic record technologies: An EHR is designed to be accessed and shared across the entire health care ecosystem, from individual providers to hospital systems to payer networks, both public and private. 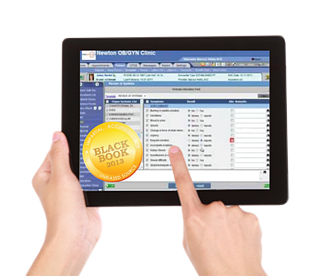 An EHR has features you'd find in any paperless chart technology, such as a patient's demographic data, diagnoses, and treatment histories, but it goes beyond an electronic medical record to include a more comprehensive view of the patient's overall status and care. Include immunization records, medication histories, radiology images, laboratory values, and other test results. Incorporate access to evidence-based tools for clinical decision support. Contain consultations, discharge summaries, and notes entered by any provider who has treated the patient. Permit secure communication between patient and provider and between two authorized providers or stakeholders. Authenticate and verify patient, provider, and payer information. Allow information sharing among all providers and agencies involved in the patient's care, such as pharmacies, laboratories, and even school and workplace clinicians. One of the key benefits of integrated EHR technology is that is breaks down information silos across the health care spectrum, reducing redundancy of effort, and enabling better coordination of care. Better engage patients and family members. Ensure privacy and security of protected health information. Improve care coordination leading to better clinical outcomes and population health outcomes. Reduce health deficiencies and increase efficiencies in care delivery. Ultimately, EHRs are designed to provide a complete, longitudinal view of a patient's health record in order to facilitate better treatment and care coordination, regardless of geographic location, specific provider, or health care network.